Tikken had a bad reaction to the vaccine, he said, and developed severe aggression and what in humans would be called obsessive compulsive disorder. Eventually, a treatment was found and she lived a long, happy life before dying at the age of 16. But Hanson was never able to forget what had befallen his dog. He began a long effort to educate pet owners about what he believes is the over-vaccination of their animals. At first, it was a lonely fight. “We were not popular amongst the veterinary community when we started,” he said. But things have changed. Nowadays, more and more pet owners, and even some veterinarians, have adopted Hanson’s way of thinking about vaccines. He’d like pet owners to be more thoughtful and careful about the vaccines they give to their cats and dogs. Still, the pendulum can swing too far. Hanson and other pet experts said that there are growing numbers of people, in Maine and elsewhere, who have decided that instead of simply being thoughtful about vaccines for their animals, they would rather skip them entirely. In addition to being illegal — Maine state law requires that all cats and dogs are vaccinated against rabies — it’s not very wise, he said. 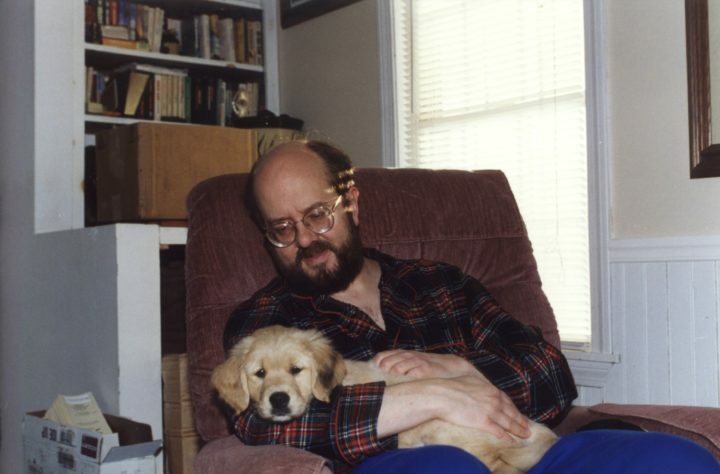 Don Hanson and his golden retriever puppy, Tikken, in 1997. In some ways, the pet anti-vaccine movement has parallels with the human anti-vaccine movement. Skeptical pet owners say they want to do due diligence when it comes to putting vaccines in their pets’ bodies. They believe they are rightfully pushing back against blind acceptance of what medical authorities, the government or pharmaceutical companies want them to do. And they believe that instead of offering protection from disease, vaccines instead can cause harm. That’s a problem, according to Dr. Jean Dodds, a California-based holistic veterinarian who is at the forefront of the movement to change vaccine protocols. She is concerned about animals being over-vaccinated and about vaccines being formulated with ingredients that can cause them harm. She is glad that more people want to be careful and thoughtful about vaccine use for their pets. Yet she is not anti-vaccine. She told the story of one champion dog breeder who decided not to vaccinate her dogs and lost a pregnant female and 10 puppies to canine parvovirus, a highly contagious viral illness. “It was an absolute tragedy,” Dodds said. Dr. Michael Munzer, who owns All Creatures Acupuncture Holistic Veterinary Therapies in Bucksport, said that in the 10 years he has worked in the field he has noticed growing numbers of people who have concerns about vaccination. Some vaccines can remain effective for a long time, he said, and antibodies against disease can be checked with blood tests, called titers, rather than giving animals booster shots indiscriminately. Sometimes, Hanson said, people have jumped on the anti-vaccine bandwagon more because of the cost of vaccines than for ethical reasons. For his family, it has been more expensive to be thoughtful about pet vaccines. Instead of getting all their shots at once, his dogs get a course of vaccines over a period of time, which requires more trips to the vet. That might help explain why the Waldo County Pet Food Pantry in Belfast saw a sharp drop-off in visitors in January, the first month that proof of vaccination against rabies was required for people to pick up free dry food, canned food, litter and dog treats. The pet food pantry generally serves about 50 households a month, but in January that number dropped to 11. But one Camden woman who didn’t want to share her name said that money isn’t the reason why she is careful about the vaccines she chooses to get for her dogs. She would never skip core shots like rabies or distemper, but said she feels “gun-shy” about newer vaccines on the market, such as vaccines against Lyme disease or the influenza virus. In Maine, where there has been a spate of high-profile rabies-related incidents lately, the preventable viral disease has grabbed headlines and attention. Rabies infects the central nervous system, ultimately causing disease in the brain and death, but is preventable with the vaccine. 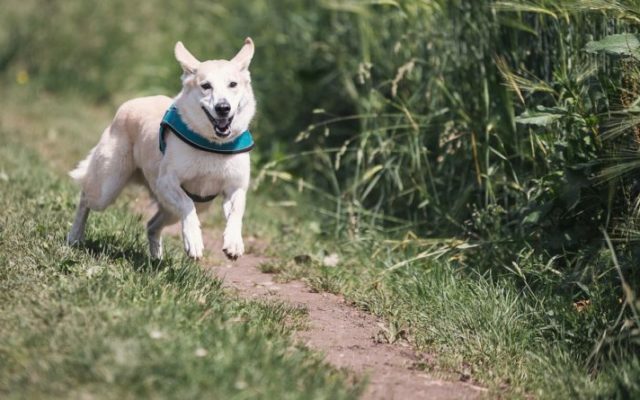 Some pet owners worry that the vaccine will cause harm, but not getting vaccinated can lead to far worse outcomes, according to Dr. Julie Keene of the Veazie Veterinary Clinic. She has a response ready when people with indoor-only cats tell her that their pets don’t need the rabies shot. Another time, a client with six cats came home and found a bat wing on the floor, but no bat body to test for rabies. They didn’t know which cat had been exposed to the bat, so in the end all of the cats were vaccinated and the house was put on quarantine. If they hadn’t done that, there was a chance that one or more of the cats could have been exposed to rabies and then bitten a person. She and other veterinarians would much rather that clients come to them to talk about their concerns about vaccinations rather than skip them entirely.